You are probably familiar with Priceline, an online travel agency (OTA) you can use to book flights, hotels, and more. For years, the company ran an advertising campaign featuring William Shatner as the “Priceline Negotiator,” a secret agent-type character who helped you save money on bookings. 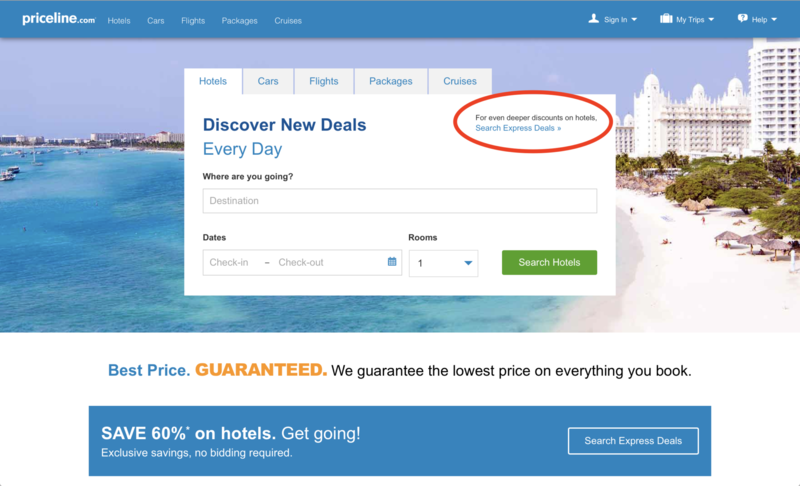 The key thing that differentiates Priceline from its competitors is its “opaque” travel booking products. If you’re willing to be flexible with your travel plans (to the point of not knowing which airline you’re flying or what hotel you’re staying at when you make a reservation), you might be able to snag a deep discount. Priceline’s best-known opaque booking service, the “Name Your Own Price” tool, lets you bid for hotels rather than paying the advertised rate. Name Your Own Price for flights ended in 2016 and for rental cards ended in 2018. In the past few years, though, this tool has been featured less and less. After Priceline acquired Booking.com, the OTA was able to use its combined resources to build its published-rate hotel offerings. Since then, the Name Your Own Price tool has continued to exist as an option, but Priceline focuses more on offering low prices through its second opaque tool, “Express Deals.” The company even killed off the Negotiator, though he has returned a couple of times since then. 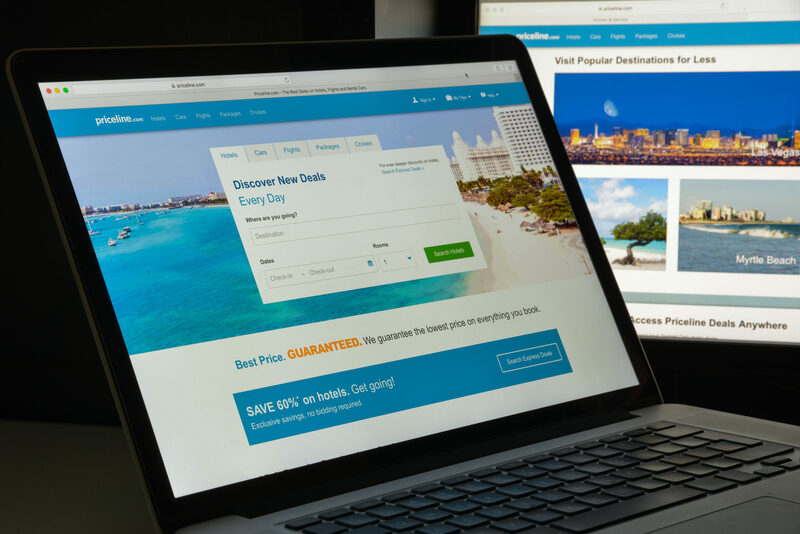 Below, we’ll take a look at the various services offered by Priceline, including how to use it to find the best prices on flights, hotels, rental cars, and more! Hot Tip: Priceline counts as “travel,” so you’ll get 2x points when you use the Chase Sapphire Preferred® Card to pay for services through this OTA! 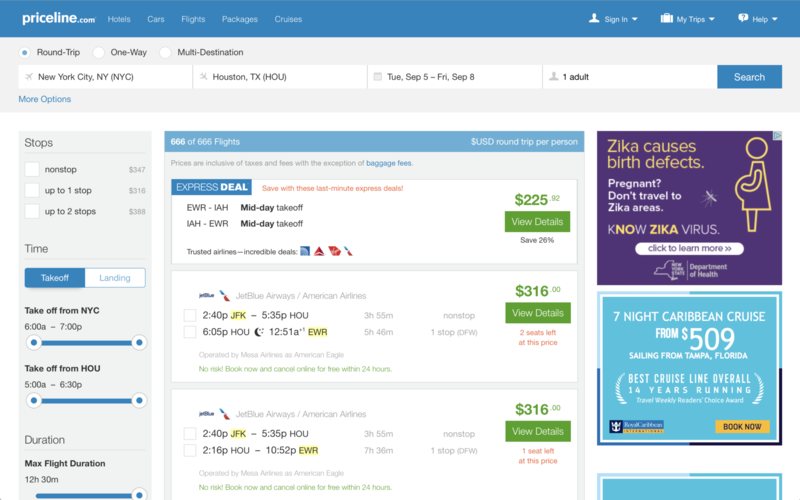 Booking regular flights on Priceline is a straightforward process, similar to any other OTA. You start by entering details of your trip: the city or airport you’re departing, dates, cabin, and number of people traveling. You can also select options to search for lower prices on flexible dates, or to search for a one-way or multi-stop trip instead of a standard round-trip flight. By default, results are shown in price order. You can use controls on the left sidebar to filter results by number of stops, departure or arrival time, total travel duration, and airline. 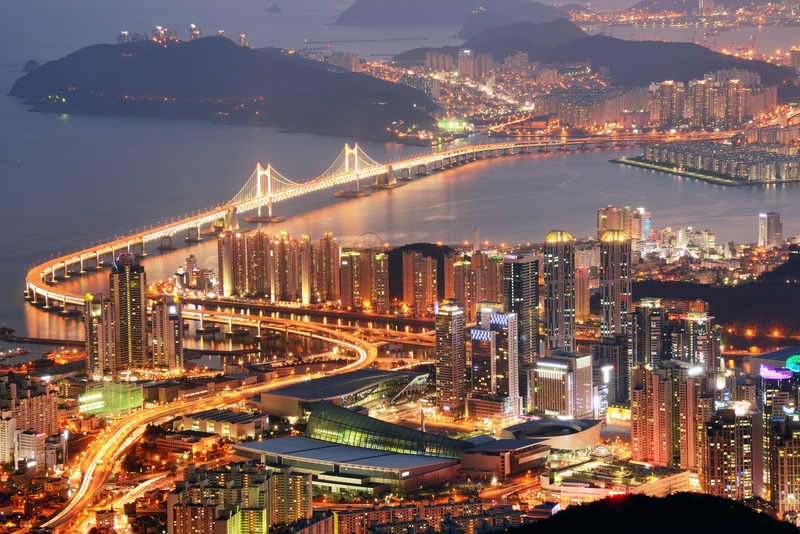 If your travel involves a city with multiple airports, you can also specify which one you’d prefer. 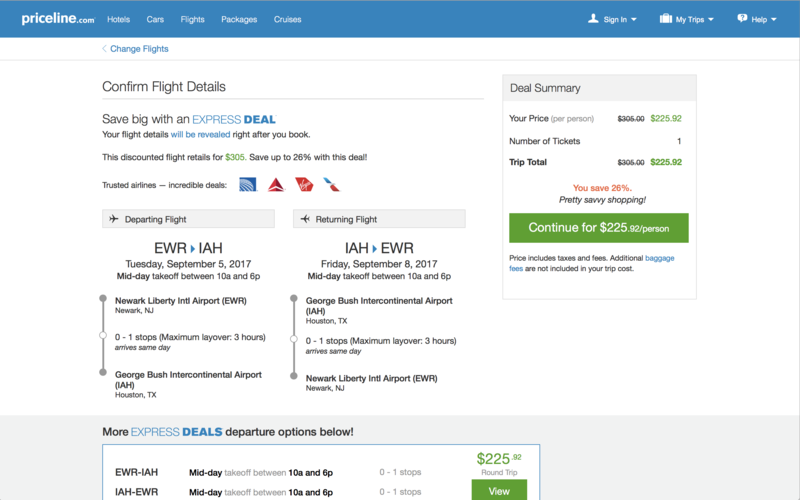 Using the straightforward flight-search function, prices compare favorably with other tools (Express Deals may be cheaper, see below). See below for prices I found for round-trip flights between Los Angeles (LAX) and Tokyo (NRT) using several different search tools. Note that this is the cheapest flight overall, rather than cheapest nonstop. Although American Express Travel appeared to offer the cheapest flight, I suspect this was a search error — when I clicked the result to book, the website returned a message saying the fare was no longer available. The next-cheapest fare was $591 for the same Air China flight the other websites offered. 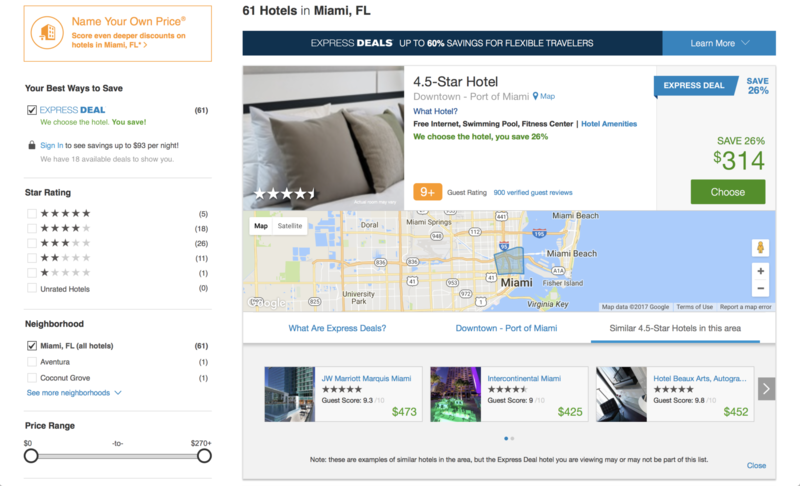 Hot Tip: When comparing prices on different OTAs, make sure the results you find are valid! In some cases, the cheapest fare you find may no longer be available. The rate comparison was similar when I searched for several more international and domestic routes, both when searching for the cheapest option overall and the cheapest nonstop flights. Depending on the route, each website may offer slightly different prices; unless you’re set on using Priceline, it may be worth comparing fares. 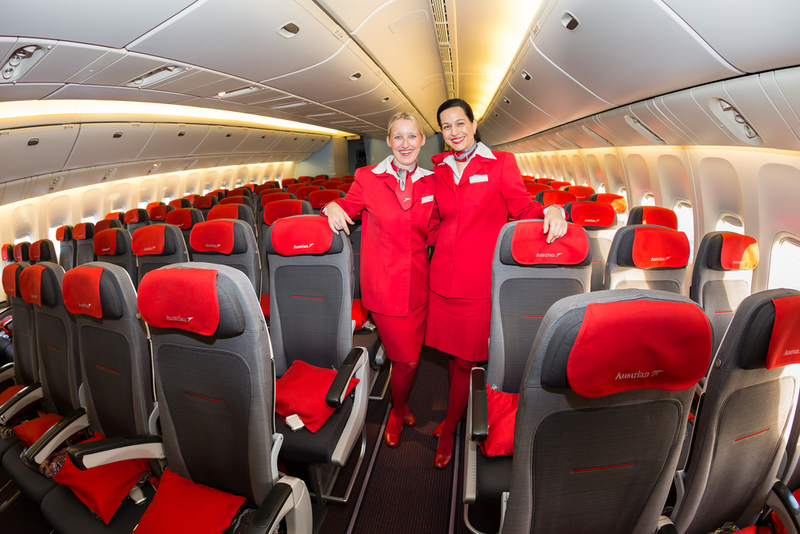 You should also check the cost of booking directly with the airline. In the above example, booking directly with Air China (instead of through any of the travel portals) would save about $10. Once you pick your flight on Priceline, the process is fairly standard: you enter your information, provide payment details, and wait for confirmation. After booking, the website gives you 24 hours to cancel or change your flight. Bottom Line: Priceline compares well with its competitors. During sample searches, it consistently provided about the same price as other OTAs, and in a few cases it showed a slightly lower price. 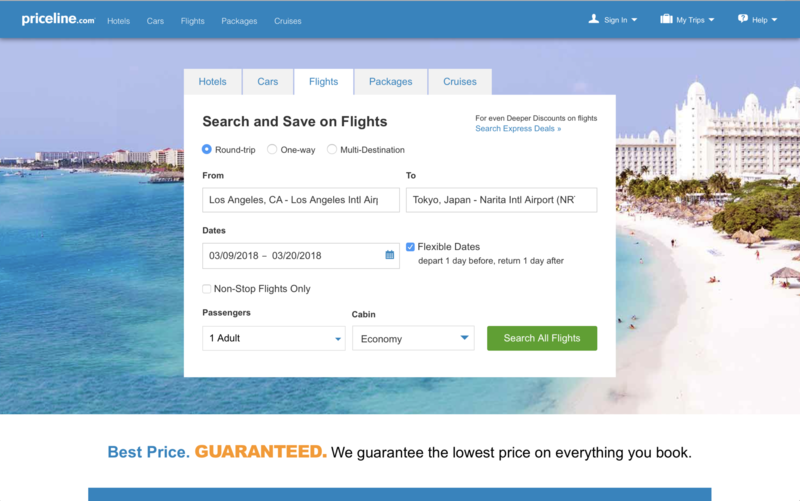 In the screenshot of the initial search page above, you might notice a link in the upper-right corner that says “Search Express Deals.” Priceline’s Express Deals program can help you get discounts on last-minute flights, but there’s a pretty big catch. Searching for Express Deal flights works the same way as a normal search. When you load the results, you’ll only see Express Deals if there are any available. I found very few of these flights in numerous sample searches, so you might not have any luck if you’re looking for something specific. Most of the ones I found were within a week of travel. If you do find an Express Deal, it’s shown alongside regular results. It’s easy to spot: Express Deals are flagged as a special fare, and there’s a lot of information missing. The departure and arrival airports are listed with just an approximate time of day…and that’s about it. If you find an Express Deal, it shows up along with regular flight results. So here’s the big catch with Express Deals: in exchange for a discount (sometimes a hefty one), you won’t know what airline you’ll be flying on or your exact flight times until after you book. After you click on a fare, you’ll see a little more information — basically, just the time range for your flights. For example, “mid-day” flights are considered anything from 10am to 6pm. Morning is 6am to 2pm and night is 3pm to 11pm. You’ll also see the approximate number of stops. In most results I could find, the number of stops was 0-1 with a maximum layover time of 3 hours. Note that there’s no minimum layover time, so if you have to go to a different terminal and the layover is unusually short, you might be left scrambling. There’s a little more detail on the flight page…but not much. Terms are similar to most airline bookings, with 1 key exception: unlike most other tickets booked through Priceline, which you can cancel for free within 24 hours, Express Deal tickets are absolutely nonrefundable and nonchangeable. Hot Tip: Before booking anything, be sure to double and triple-check all details. Express Deal flights can’t be changed! Unfortunately, when you’re shopping for an Express Deal flight, it’s impossible to compare Priceline’s rates to other OTAs and airline websites. The site does show the original price and amount of discount, but it’s hard to know how accurate that is. Fortunately, there’s a best price guarantee. If you find the exact same flight for a lower price anytime until 24 hours before check-in, Priceline will refund you the difference. Bottom Line: Priceline’s Express Deal flights can help you save a ton of money, as long as you’re okay not knowing exactly what you’re booking until after you pay. Booking a hotel on Priceline is straightforward. You search, pick a hotel, and confirm your reservation, just like with any other OTA. Although Priceline has a few extra options to help you find a great rate, there can be some additional terms. To search for a hotel on Priceline, enter a destination, choose your check-in and check-out dates, and specify the number of rooms you need. By default, results are organized in “recommended” order, determined by a combination of user reviews, general ratings, and price. You can change this to sort results by price or guest rating instead. On the right sidebar, you can adjust filters for star rating, neighborhood, price range, amenities, and hotel brand. If you have one in mind, you can search for a specific property too. The terms and conditions vary between properties, so make sure to read everything before making a reservation. Hot Tip: If your travel plans are concrete, you can usually save money with a prepaid and/or nonrefundable rate. Some properties require payment at time of booking, while others allow you to pay at check-in. You can see each hotel’s policy on the results page — if a hotel says “pay later,” then your card won’t be charged (unless you choose to pay up front). If the hotel allows you to cancel the reservation without penalty, Priceline highlights that as well. Keep in mind that taxes aren’t included in the rate shown on the results page or a specific property’s profile page — you’ll see all additional fees included once you choose a room and rate. When comparing prices between different websites and services, it’s always good to check the total price rather than the initial per-room-rate. 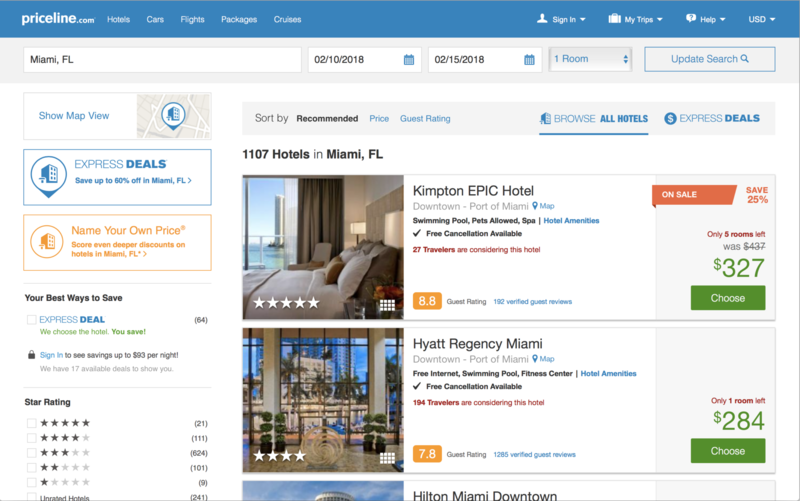 An example of a Priceline hotel search. For example, I searched for a room in Miami for 5 nights in February 2018. The Courtyard by Marriott Downtown/Brickell Area was on the first page of recommended results and listed rates starting at $306 per night — a great discount over the $374 per night shown on Marriott’s website. That would mean a total of $1,530 for the 5 nights. However, once I selected the room on Priceline, $198.90 of fees and taxes were added, driving the total cost of the stay up to $1,728.90. When I selected the room on Marriott, it showed that after the first night, the rate actually drops from $374 to $278. It added $193.18 in taxes and fees, bringing the total to $1,679.18 — a savings of almost $50. *Note: Kayak.com had trouble finding a rate and kept returning an error message. Hot Tip: Rates booked through loyalty program discounts are excluded from the price guarantee. That means if there’s a membership discount (even one that’s available to the general public), Priceline may not honor it. In the above example, Priceline’s rates (like the other OTAs) were higher than what I could find directly with Marriott. If you can find a better deal within 24 hours of making your reservation, you can submit a claim to Priceline for the difference. If you booked a rate that wasn’t prepaid, Priceline will help you cancel your reservation and make a new one at the lower rate. To make a claim for a hotel, you’ll need to contact Priceline by phone at 1-800-PRICELINE. The representative will check the lower rate to verify it. Note that to qualify, the lower rate must be available to the public and have the same dates, room type, and number of rooms and travelers. When you book a hotel through Priceline, you generally won’t be able to collect hotel loyalty points. Also, the property likely won’t honor any elite status you hold. This is the case with most OTAs. For example, if you hold Marriott Gold Elite status, you won’t get a room upgrade or free breakfast if you book through Priceline. Bottom Line: Booking hotels through Priceline is easy, and prices compare well to other OTAs. Double check prices if you book directly with the hotel and decide whether you want to use/earn loyalty points and benefits. Just like with flights, Priceline offers a feature to help you save a ton on hotels — as long as you aren’t too picky about hotel choice. The basic premise is that Priceline can provide a deep discount on a hotel, but they won’t tell you where you’re actually staying until you confirm the reservation. Bookings are prepaid, nonrefundable, nonchangeable, and nontransferrable…so basically, you’re stuck once you make the booking. When you go to the homepage and click the tab for hotel reservations, you’ll notice a link in the upper right corner labeled “search Express Deals.” Click this and enter the city, number of rooms, and check-in and check-out dates. Click the link in the upper-right corner to search for hotel Express Deals. The results page looks exactly like the standard hotel search results, except that instead of hotel names you’ll only see star ratings. For example, the top result might be “4-Star Hotel.” If you click the “What Hotel?” link, you’ll see a map with the hotel’s general location shaded and a list of similar hotels in the area. The terms for Priceline’s Express Deals are simple but restrictive. Once you make a reservation, you can’t change it, cancel it, transfer it, or get a refund. Because you can’t even read guest reviews before committing — only an average rating by guests — any hotel booked through Express Deals is a bit of a gamble. You have no way of knowing exactly where you’re staying. If you’re flexible or more easy-going, this means you can get a great deal. Otherwise, it might be worth paying a bit more so you know the details of the hotel before you book. Unfortunately, it seems like lots of people book these rates without reading the terms — there are a ton of complaints online from people who didn’t get what they expected or wanted when booking through Express Deals. To avoid ending up in a similar situation, make sure you’re prepared to accept whatever hotel Priceline reserves for you before finalizing the reservation. Hot Tip: Some online reports suggest that people have been able to cancel reservations and get a refund from Priceline by calling the hotel directly. Because that isn’t an official policy, your experience might be different. Because you don’t know the hotel before making the nonrefundable reservation, it’s impossible to directly compare rates with Priceline’s competitors or the hotel’s direct booking website. The search results page does offer a list of “similar hotels in this area” that you can use to make an educated guess. However, you still can’t be sure whether this is accurate or not. The good news is that Priceline’s best price guarantee applies, and it’s more flexible than with direct searches. The company will refund the difference if you find a lower price for the hotel anytime until 24 hours before check-in. The rate must be available to the public, and it must be for the same itinerary (including dates, room type, and number of travelers). Bottom Line: Priceline’s Express Deals feature can help you save up to 60% off a hotel, but you won’t know the actual hotel until you make a nonrefundable reservation. If you are flexible, this can be a great deal. 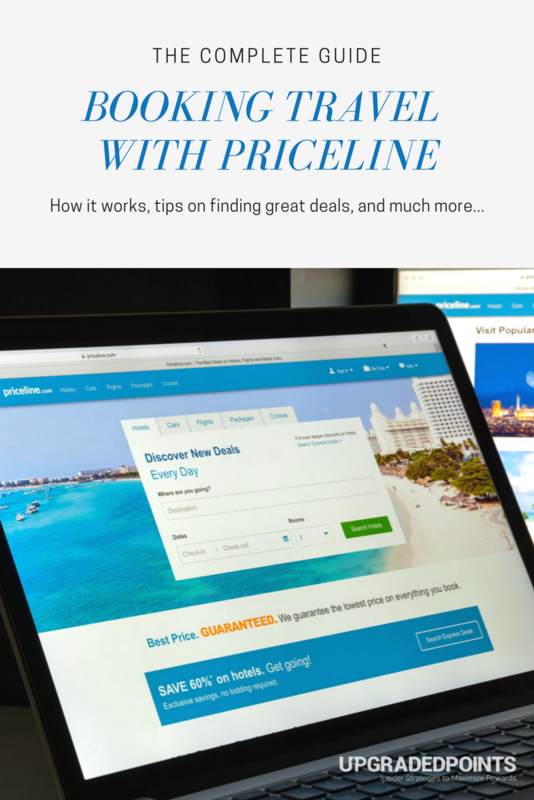 Priceline originally built its brand on the Name Your Own Price feature. The idea was that you’d submit a price you were willing to pay for a flight or hotel, and Priceline would try to get the relevant travel providers to accept that. The company recently got rid of this tool for airfare, but it still exists for hotels. To access the tool, visit the home page and scroll down until you see a link. Hot Tip: Remember that you won’t earn 5x points on flights, hotels, or car rentals if paying with a Platinum Card® from American Express — you’ll only get those benefits if you book through Amex Travel. Once you click the link to access the Name Your Own Price tool, a search window pops up. Enter the city, select the number of rooms, and choose your check-out date. Then, select the neighborhoods you’re interested in and the star-level you want. To have a better chance, you may want to select a few different star-levels. Finally, enter the price you’re willing to pay per night. To help you find the right price to bid, Priceline helpfully displays the average retail price for properties matching the star-levels and neighborhoods you picked. Once you enter these details and click “continue,” you’ll move to a page showing the nightly rate with estimated taxes, fees, and possible resort charges. Then, you enter payment details. Hot Tip: Check BetterBidding.com for ideas of how much to bid. Terms are similar to Express Deals: if Priceline can find a hotel to accept your bid, your credit card will be charged immediately. At that point, reservations can’t be changed, transferred, cancelled, or refunded. You won’t have a chance to learn or review the specific property beforehand. That means you need to be sure before you submit a bid. Also, you can only submit 1 bid every 24 hours, so if you bid too low, you may be out of luck. Remember that if you have any special needs or considerations, such as needing an elevator or wanting to make sure you get 2 twin beds instead of a queen/king, you may be disappointed with this kind of blind booking. As with Express Deals, it’s impossible to compare rates with other booking portals because you don’t learn the property name until it’s too late to change anything. Fortunately, the same price guarantee applies. Priceline refunds the difference if you find a lower price for the hotel (that’s available to the public) anytime until 24 hours before check-in. Bottom Line: The Name Your Own Price tool is slowly being phased out in favor of everyday Express Deals. There is still potential to get a great deal by bidding, but remember that hotels won’t accept a bid that’s too low. Priceline’s rental car tool has access to most major rental agencies and includes an Express Deals option. To search for a rental car, enter the airport or city you’re traveling to and your pickup/drop-off dates and times. You can also specify whether you want a different drop-off location in the same city or a one-way rental. You can filter results by car type or rental company and order results by Priceline’s recommendations or by the lowest price. Terms and conditions vary by rental company, although many reservations are cancellable. Make sure to check what insurance options are offered, or see what rental car coverage comes with the credit card you use to make the reservation. Rates I found were identical to what other OTAs offered. There was a great range of car options and prices starting as low as $16 per day. Rates also compared to what was available directly from the rental companies. Similar to flights and hotels, Priceline offers Express Deals on rental cars. Searching for rental car Express Deals works the same way as a normal rental car search on Priceline. If an Express Deal is available it will be displayed among the regular rental car results. Express Deals are most commonly found at airports. You are guaranteed to have one of the major agencies listed on the result, currently: Alamo, Avis, Budget, Hertz, National, and Sixt for US rentals. Like other Express Deals, you will not be able to cancel the reservation or get a refund. Hot Tip: With rental car Express Deals be aware that you won’t be able to use your rental car frequent renter program to skip the line at pick-up. At busy times that wait at the rental car counter can be excruciating. Think twice using Express Deals at leisure destinations where domestic and international visitors unfamiliar with renting cars can really slow down lines. Small airports at business travel times are a better bet. Priceline eliminated Name Your Own Price for rental cards in April 2018. For people who use Priceline consistently, Barclays offers a co-branded credit card that earns rewards on everyday spending and bonus points on everything booked through Priceline. Because Priceline itself counts as “travel,” you can also use a card that offers bonus points for travel purchases, such as the Chase Sapphire Preferred® Card. As a standard online travel agency, Priceline performs solidly, and it is roughly on par with other OTAs in terms of selection and pricing. 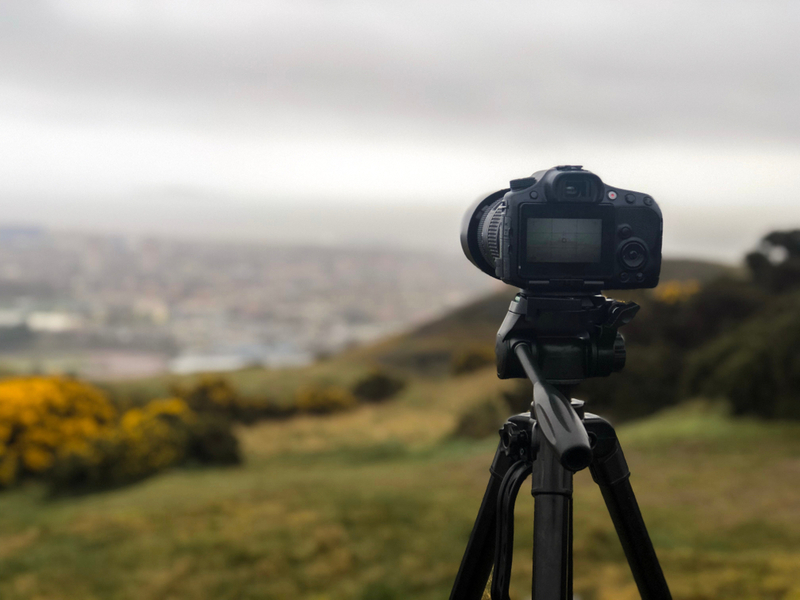 What makes the website stand out is its various opaque pricing tools, which sometimes offer steep discounts on flights, hotels, and rental cars…if you’re flexible and willing to commit without knowing all the details. Before bidding or purchasing one of Priceline’s opaque options, make sure that you’re certain about the trip, timing, and any other details you can confirm. Once you submit a bid or make a reservation, there’s no refund or cancellation! Priceline is an online travel agency (OTA) you can use to book flights, hotels, rental cars and more. Why should I use Priceline? Priceline is a great way to search and compare flights and hotel rates. It also offers a best price guarantee, so there’s no risk of finding a lower price later and feeling like you missed out. The bigger reason to use Priceline, though, is that it offers huge discounts on flights, hotels, and rental cars for making an “opaque” booking. An opaque booking is when you book a flight, hotel, or rental car at a discount (sometimes a huge one), but you don’t know the exact details of what you’re reserving. If you’re booking a hotel, you’ll only know the hotel’s star-rating, general location, and price until you pay for the reservation. Likewise, with a rental car, you won’t know exactly which company you’re renting from or what kind of car you’ll get. If you don't like what you've booked, can you change it? Nope — in exchange for the discount, opaque bookings are not refundable, changable, transferrable, or cancelable. How do I cancel a Priceline hotel reservation? If the reservation is cancellable or refundable, just call 1-800-PRICELINE. If you booked the hotel as an Express Deal or as a Name Your Own Price reservation, the official policy is that it can’t be canceled. However, some people report luck by calling the hotel and asking to cancel it, then contacting Priceline if the hotel is willing. How do you bid for hotels on Priceline? General advice is to find the normal retail price, then bid 40%-60% lower than that. There are a ton of resources at BetterBidding.com dedicated to finding the best rate. On priceline, many times Priceline shows a hotel with a low price, however it does not say when you can get that price and the dates. This does not show up. How can someone find the dates when you can get the lower prices, instead of keep putting the dates in manually. there must be another way. Please help. Unfortunately, hotel search engines and online travel agencies are not always perfect. This is a recurring problem with multiple search engines, and the best solution to get the best rate is to keep persisting and searching. Sorry we don’t have a better answer for you. Can I book an airline ticket for a child without an adult flying? I can’t get the adult deleted when trying to look up prices. Hi Mike. I went to the Priceline website and looked up their policy for unaccompanied minors. Apparently you can book tickets for unaccompanied minors 16 years of age or older. If the child is younger than 16, you must book directly through the airlines. The airlines can also charge an extra fee for an unaccompanied minor. Hope this information helps.